The Absorbent Wizard Duo Insert is the cloth diaper component of our All-in-Two cloth diaper system. The One-Size insert fits babies from 10-35 lbs. The Duo Insert snaps inside the Duo Cover. 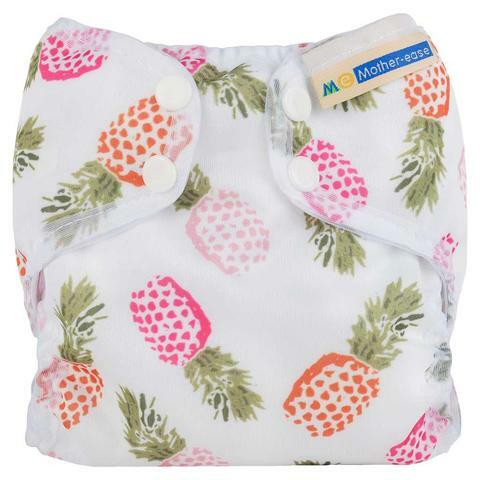 Once complete, your All-in-Two cloth diaper is ready to be used on your baby. When the Duo Insert becomes wet or soiled, simply unsnap from the Duo Cover and replace with a clean one, reusing your waterproof Cover 3-4 times before having to launder. 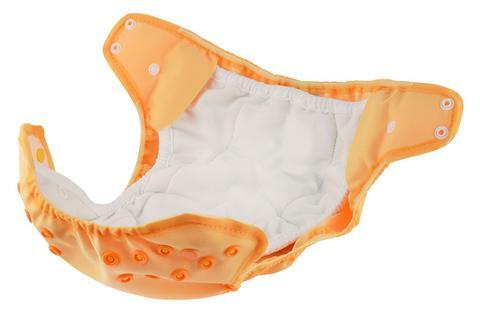 Wide Coverage - the Duo Insert is sized to cover the entire Duo Cover, ensuring that only the Insert fabric will sit against your babies delicate skin. Snaps - Secured inside the Duo Cover with 6 snaps, keeping the Duo Insert in place and spread apart - stopping any bunching and keeping your cover clean to reuse again and again! Adjustable Rise - quickly adjust the length of the Duo Insert 2.0 with the fold over rise for a perfect fit inside your Duo Cover. 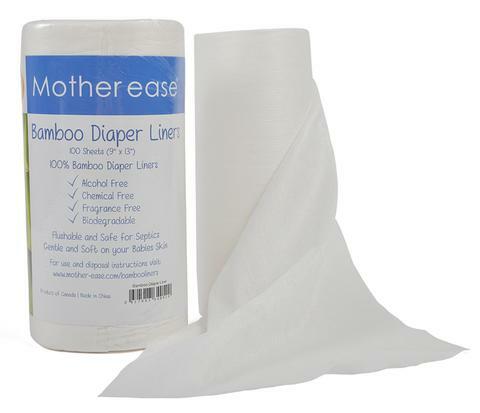 Our Bamboo Terry fabric is specially knit with 70% Bamboo / 30% Cotton touching your baby’s delicate skin. Polyester is knit into the base of the fabric to provide strength, durability and shrinkage control. Our Bamboo Terry is available in its natural unbleached finish. The bamboo used in our yarn is a man made fiber using the viscose process. It is made from organically grown bamboo and the factory producing it follows strict environmental standards (ISO14001:2004) as well as employee health standards (OHSAS18001:1999). This yarn has been tested free of harmful substances according to Oeko Tex Standard 100 for baby articles.